Brighten up any space with this beautiful. 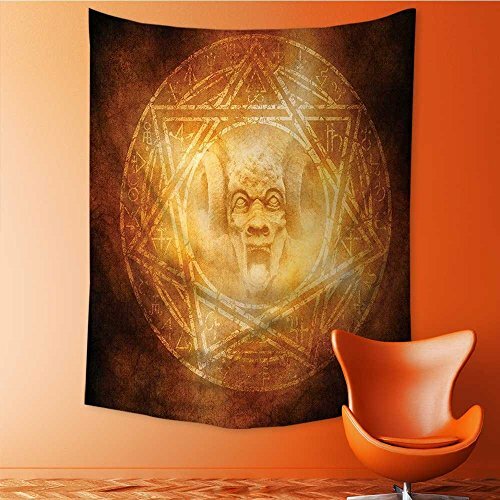 Add a unique feel to your room with this Polyester handmade wall hanging. Go for a dramatic makeover of your wall. SIZE: 60 INCHES WIDE x 80 INCHES LONG,if you need other size,please contact us,we will custom it for you. This wall hanging made of 100% lightweight polyester with printed front and hand-sewn finished edges, features a classic theme, which can blend with any existing home decor. 100% MONEY-BACK-GUARANTEE: You don't have to worry about the after-sales problem. If you are not satisfied, we offer a 100% refund service. You just need to place the order now, and then you can receive the excellent quality and reasonable price Tapestry.